Maybe it’s how fast everything is going. Maybe it’s technology. Maybe it’s the millennials. No, it’s the government. Or climate change. It’s the news. No, it’s nutrition. Nope. None of those, although they can compound the problem. 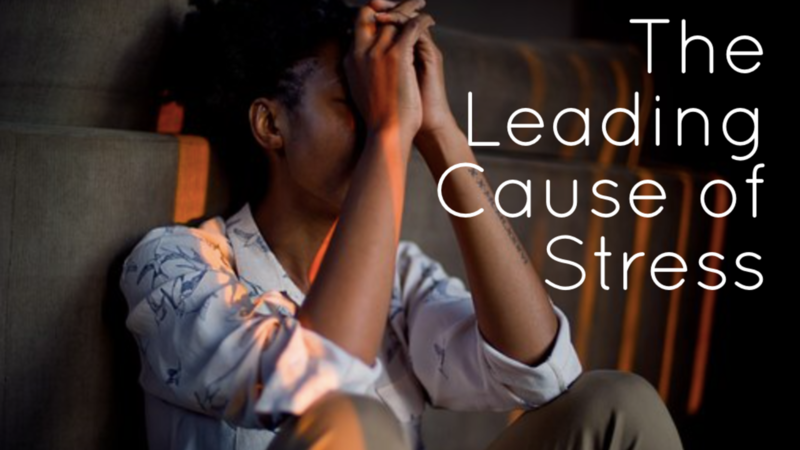 Do you want to know what the biggest cause of stress is? The biggest cause of stress lies in the fact that no one knows what it is. When you don’t know what it is, how do you deal with it? How do you beat an enemy you don’t even understand? No one knows what it is and no one knows how to deal with it. And that is just making the problem bigger. But that’s going to change right here, right now. Stress is NOT pressure, deadlines, difficult people. Stress is NOT the economy, the shortages, the scarcity. Stress is NOT making decisions, having difficult conversations, being dealt a rough hand. Stress is your negative emotional reaction to those situations. That’s it. There’s no mystery. It’s not complicated. It’s actually face-palm simple. Stress is NOT the situation. Stress IS your response to the situation. Stress is NOT some out-there force pressing in on us all. Stress IS our inside negative reaction to the outside situation. That being said, this presents an equally simple solution to stress. If the problem isn’t out-there, then we need to stop looking out-there for the solution. If the problem is in-here, then we need to look in-here for the solution. If stress is your negative emotional reaction to a situation, that means the solution to stress is to regulate your emotions. If stress is a result of your negative emotions, the solution to stress is your positive emotions.